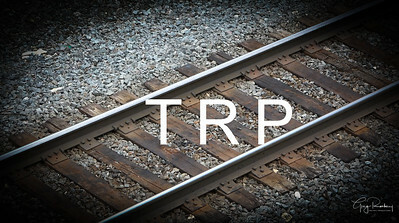 Two Rail Productions follows trains through southeastern Wisconsin, and across the country. 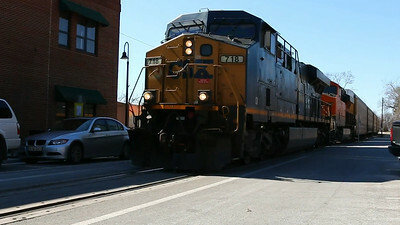 CSX 1136 EMD MP15AC beats out CSX 2358. 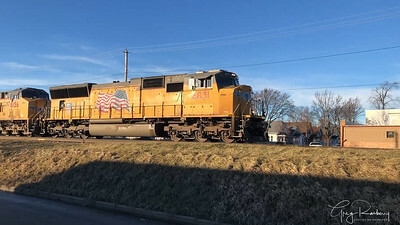 Both engines were working the yard in Louisville, Kentucky. Railroad safety. Dont be "That guy"
A car races to make it through before the gates crash on top of his vehicle. 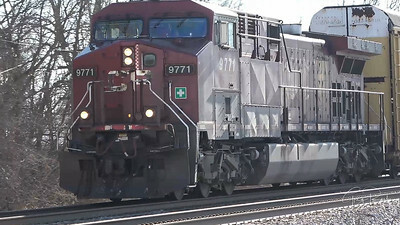 UP 7667 pulls a local through the south side of Racine at the old train station. 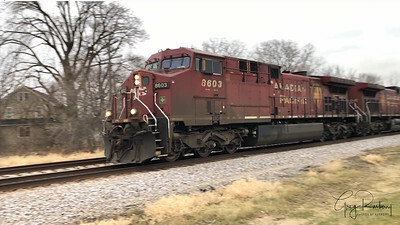 CP 5106 heads north through Franksville, Wisconsin followed by a tanker train lead by CP 8868. 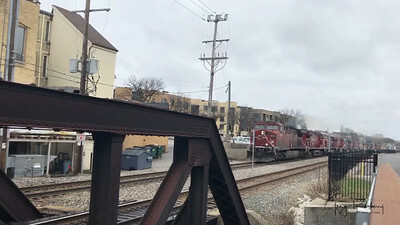 A couple of catches in Wauwatosa, Wisconsin today. 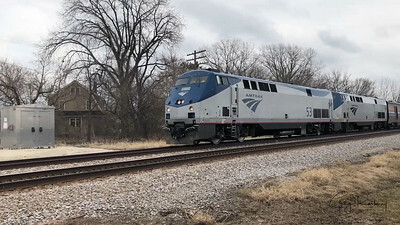 Empire Builder headed east to Milwaukee. 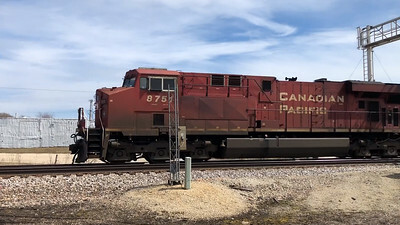 The second catch today was a huge Canadian Pacific power move headed westbound from Milwaukee. 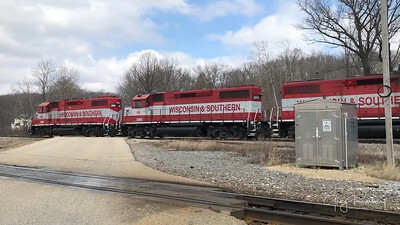 Two Wisconsin & Southern trains in the Waukesha, Wisconsin area. 3869,3868,3895 lead the first train, and 4181,4177,4185 lead the second train. 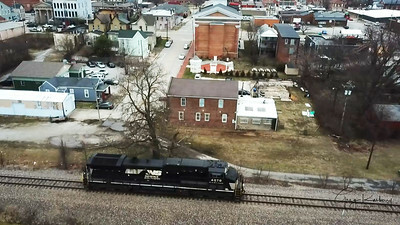 Norfolk Southern 9404 leads train east through New Albany, Indiana. 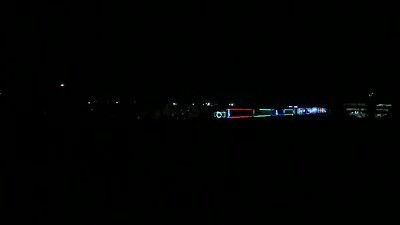 Over flight shows single unit NS 4070 trying to catch up with rear of train before reaching the bridge over the Ohio River. New Tier 4 diesel engines. 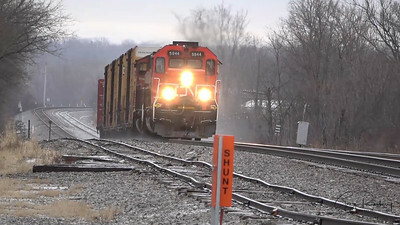 CN 3843 leads an auto rack train through the curve south of Slinger, Wisconsin. 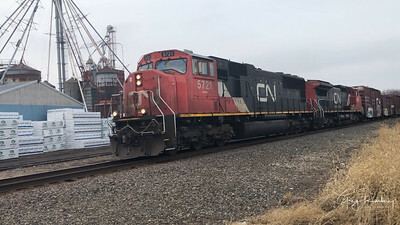 CN 3844 is mid train providing extra power. 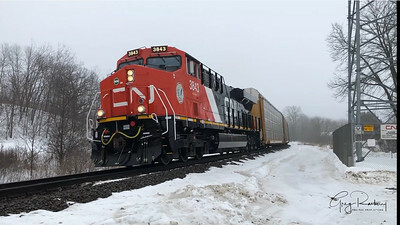 CN 3843 and CN 3844 are ES44AC Tier 4's brand new within the last month. No horns to hear this one coming. 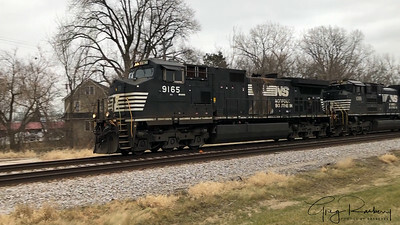 CN 3016 leads a double stack northbound into the city of Waukesha, Wisconsin. 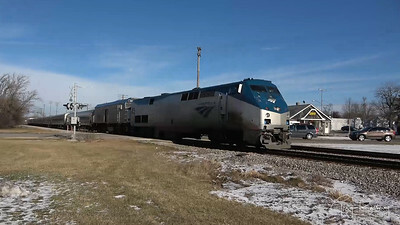 Many trains followed through the curve south of Slinger, Wisconsin on the Canadian National mainline. 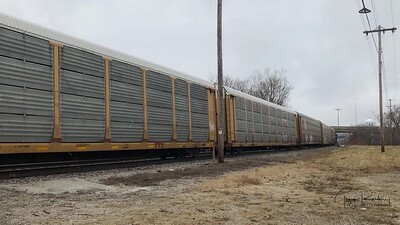 Tank trains, double stacks and general freight were all seen on Saturday, January 12th, 2019. 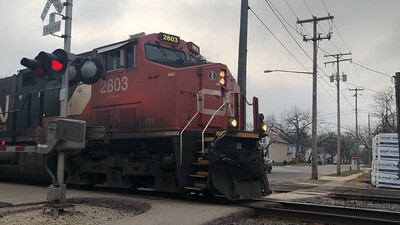 CN 2272 Leading CN 8880 north through Waukesha, Wisconsin at Perkins Ave.
CN running South through Waukesha, Wisconsin at Perkins Ave.
Canadian National GE ES44AC #2871 and # 3033 lead a tanker train through Waukesha headed south at the Perkins Ave. crossing. 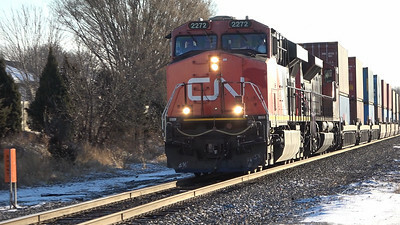 CN 3881 trailing at the end. 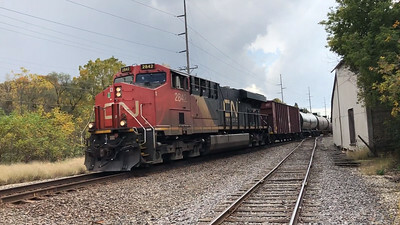 CN running north through Mukwonago, Wisconsin at Oakland Ave.
Canadian National GE ES44AC #2803,#5762 and # 2326 lead a tanker train through Mukwonago headed north at the Oakland Ave. crossing. 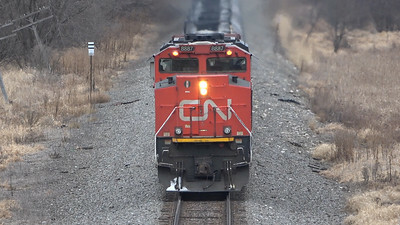 CN 3810 trailing at the end. Long wait, But rewarded with a twofer. Hanging out for a couple of hours on the UP line in West Allis, Wisconsin. Union Pacific #4831 #8156, and #5951 haul a mixed freight east bound. 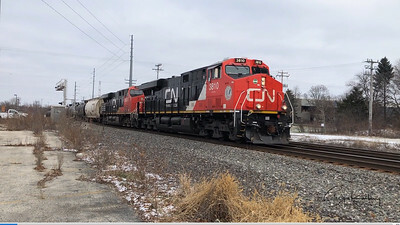 Three quarters of the way through I was rewarded with a Canadian National tanker train heading west bound lead by CN 3025 and a CEFX #1016 Trailing on the rear was CN #2987 Taken January 4th, 2019 in Weat Allis, Wisconsin. 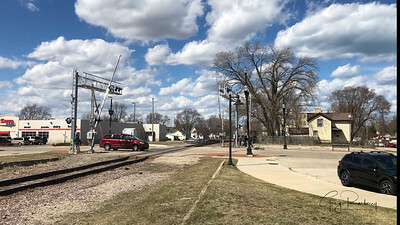 I Stopped in Allenton, Wisconsin today along the Canadian National line. One of there work trucks was sitting next to the crossing. 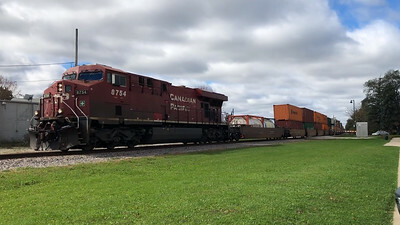 A few minutes later CN 2885 and CN 3107 came hauling up the line. 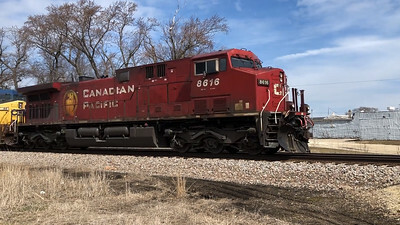 I shot this video of Canadian Pacific #9771 in Franksville, Wisconsin on January 4th, 2018 at around 10:00 A.M. I had to do a service call in Milwaukee right after this was taken. 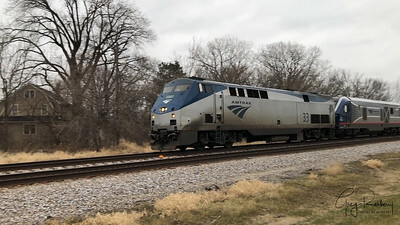 I finished up about 12:30 P.M. and sat my the tracks in Wauwatosa, Wisconsin for lunch. To my surprise here comes CP #9771. It must have got hung up in the yard downtown Milwaukee.